Charles Nisbet was born on January 21, 1736 to William and Alison Nisbet. William was a schoolteacher at Long Yester near Haddington, East Lothian County, Scotland. By 1754, Charles Nisbet had completed studies at both the high school of the university in Edinburgh and had entered Divinity Hall to prepare for the ministry. He was licensed by the Presbytery of Edinburgh on September 24, 1760 and began preaching at churches in the Gorbals, near Glasgow. On May 17, 1764, he was ordained in the Presbytery of Brechin and assigned to a church in Montrose, in Forfar. Two years later, he married Anne Tweedie and his first son, Thomas, was born. The Nisbets had three more children; Mary, Alison (1773), and Alexander (1777). Active, studious, and blessed with a remarkable memory, Nisbet reportedly could speak nine languages, and he developed a high reputation in Scotland for scholarship. He became a member of the General Assembly of the Church of Scotland and was outspoken in his defense of strict Calvinism. 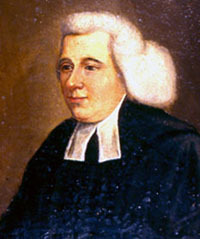 He was awarded an honorary doctorate of divinity degree from Princeton University in 1783; it was Nisbet who had recommended fellow Scotsman John Witherspoon for that institution's presidency. Nisbet's accomplishments attracted the attention of the trustees of the newly founded Dickinson College, who were searching for a man to fill the position of the College's first principal. The College's founder, Benjamin Rush, had met Nisbet while in Edinburgh. After much deliberation, accompanied by the vigorous petitioning of Rush and John Dickinson, Nisbet finally accepted the position and sailed from Greenock with his family on April 23, 1785. The family arrived in Philadelphia on June 9 and in Carlisle on July 4, when the town greeted them enthusiastically. In the height of a humid central Pennsylvania summer, the Nisbets did not adjust well to their new home; the entire family fell very ill. In addition, Nisbet felt that Rush had broken many of the promises that he had made before accepting the position at the new college, and their relationship suffered over this disagreement. All of this, coupled with extreme homesickness, led Nisbet to resign in October 1785 and to seek a return to his homeland. For reasons described variously as fearing a winter Atlantic crossing, or refusing to sail on a ship with an Irish captain, his departure was delayed. During that time, the health of his family recovered and on consideration he requested his old position. Despite Rush's misgivings, Nisbet was unanimously reelected as principal on May 9, 1786. For the following eighteen years, his efforts to build the new institution were untiring. While principal, Nisbet served as professor of moral philosophy, mental philosophy, belles lettres, and logic. According to the memoirs of former students, his intellectual vigor was punctuated with cheerful and animated wit, as well as his often caustic criticisms on the unstable advance of American institutions and affairs. His course of 418 lectures in systematic theology and 22 on pastoral theology, composed to accommodate students preparing for the ministry, was the first of its kind given in North America. Nisbet's outspoken views hindered his relationship with his Board of Trustees. Still, land was purchased and a new permanent building funded and constructed. Following an 1803 fire that required a complete rebuilding, the new college, on land immediately west of Carlisle, was ready for occupation in November 1805. Nisbet did not witness this event, however, because on New Year's Day, 1804 he contracted a cold that progressed to pneumonia. Charles Nisbet died two and a half weeks later on January 18, 1804, three days before his 68th birthday.